There wildlife sanctuaries, national parks and tiger reserves strewn about the length and breadth of the country. The the ones lying north of the Tropic of Cancer and a few south of it suffer from over exploitation by camera totting tourists. Bulk of them are a product of the software boom. Lots of money and nowhere to spend, so the natural inclination is gadgets and gear. If you did not own the costliest DSLR and the heaviest 500mm lens you are a nobody. Come weekends, these 'bazooka' owners want to 'shoot' nothing less than the tiger! The fallout of this is that many of these gentlemen and ladies suddenly realized the potential of wildlife photography tours. So, now we have techies turned tour operators who pursue their tigers with the wannabe wildlife photographers tagging along! Some conduct serious workshops on photography with field visits to the jungles to give these wannabes an experience of shooting in the wild. It is good thing when it is done with a restricted number and when respect is given to the wildlife and environment. It is quite another thing when, in the mad haste to climb up the ladder, these chaps pay scant respect to the creatures they shoot and compromise both photography ethics and forest rules. I know of a chap who jumped out of a safari jeep in Bandipur and grabbed the tail of a python just to get a 'good' photograph. It happens with the connivance of the so called naturalists and drivers of the resorts that cater to the needs of such folks for a small 'something'! This chap chucked his job, sold all his stuff and in about three short years, has gone on to become a renown wildlife photographer. He has a more than 5000 'friends' on Facebook and has his own FB photography page that has garnered more than 30,000 'likes'! Life is like that! To me, a trip to the jungles is to rejuvenate my sagging spirit or tired body. I love every little thing about the forests; right from the grass, trees, insects,birds and the animals both small and big. The mongoose is as interesting as the tiger and the black naped hare as mysterious as the leopard. Seasons mean little to me. The dense green forest in the monsoon is just as lovely in the dry hot summer. After all they are two faces of the forests I love so much. The after effect of this 'photography epidemic' is that I've stopped enjoying my trips to Bandipur, especially if it is weekend or holiday time. That does not men I stopped enjoying my photography. I love to make a photographic record my trips like anyone else but of late I find that most of the jungles I visit are not the same places any more. After every trip, it's time to show off the tigers and leopards that have been captured on camera. Not many are keen to stop for a bird or an insect, or even the beautiful forest. The hunt is on, but only for the predators. Let me also confess, these developments have not dimmed my passion for photography. In fact, as I told someone, my only vice is the addiction to gear! 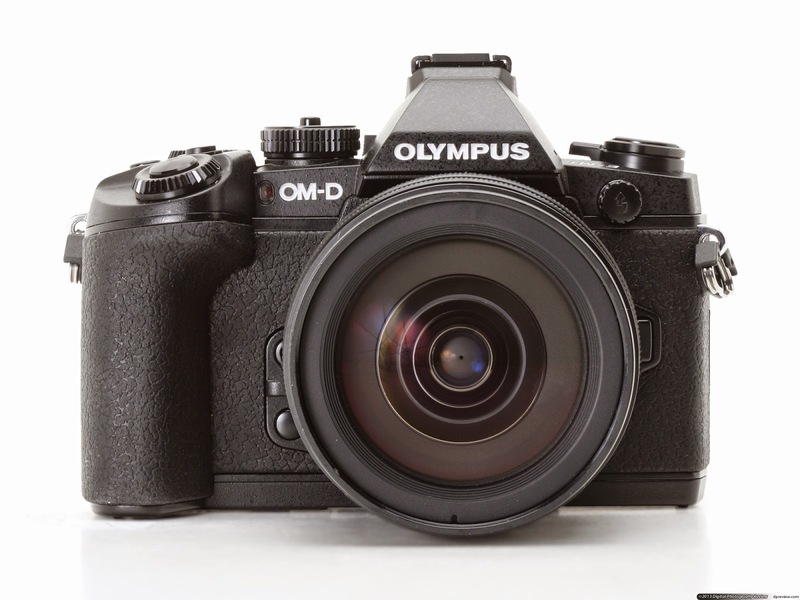 As I type this, my mind is on my new baby; the Olympus OM-D E-M1 that arrived last week! I was taking a count of all the cameras I've possessed over the last 20 odd years and I realize I have a sizable collection. So I thought there is no harm in bragging a bit about it! 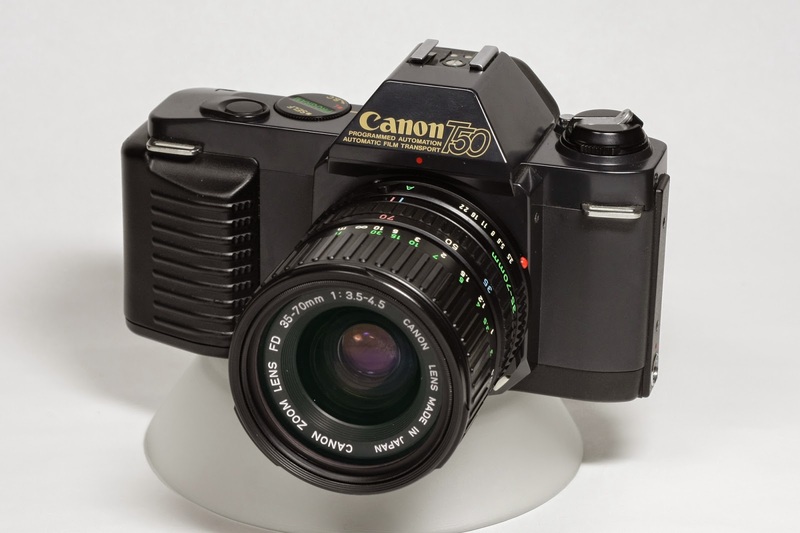 I first got my hands on a proper SLR sometime in the late 1980s. I had borrowed his Canon T50 when it was time to graduate. I neither have good memories of it nor very many pictures to show off! 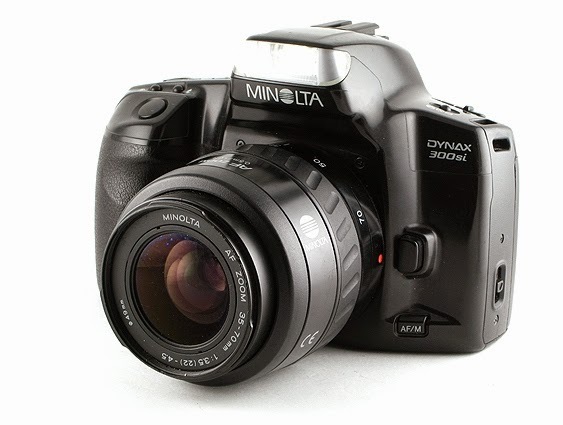 Probably impressed by my enthusiasm rather than the skills I exhibited, my father gifted me my own SLR, a a humble Minolta Dynax 300si! This was the camera with which I learnt the rudiments of photography really. I first realized how much difference a camera with a set of additional lenses can make, to the way I viewed the world. Early 1990s saw the Dynax accompany me everywhere on my trips. Those were the days that shutter speed and apertures were still words I was grappling with. ISO was just a number on the film. 'Zoom' lens was the one that really grabbed my attention! It was also the camera that accompanied me on my first serious trips to wildlife sanctuaries. First Ranthambhore then later, Nagarahole and B R Hills. It was also the camera that 'impressed' Robert Plant (of Led Zeppelin, who was travelling incognito) in Kabini! Till today I am not sure if he was really impressed or whether he was just being nice to a star struck fan! This fixation on 'Zoom' was perhaps the reason I shifted to digital. Lenses were expensive and digital cameras came with impressive specifications in a small package. I realized the advantage of carrying a small bag with a camera that sported, what was then, an impressive 10x zoom! No more lens swapping in a jerking safari vehicle with all the dust flying around. 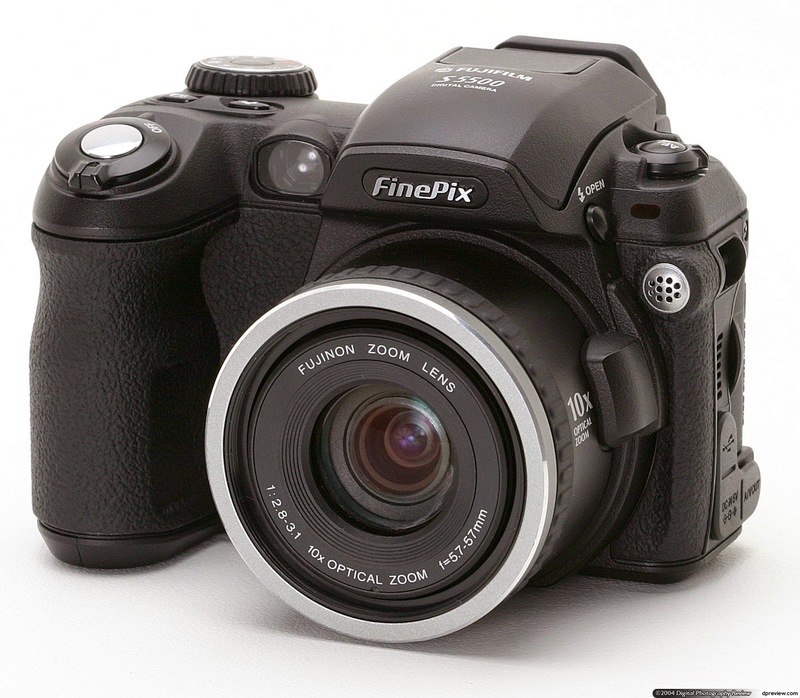 Thus, then, I got hold of my first digital camera, the Fuji S5500. In those days, megapixels was everything and 5MP was king when I got my S5500! Then 'zoom' faded into the background and the fixation shifted to megapixels. 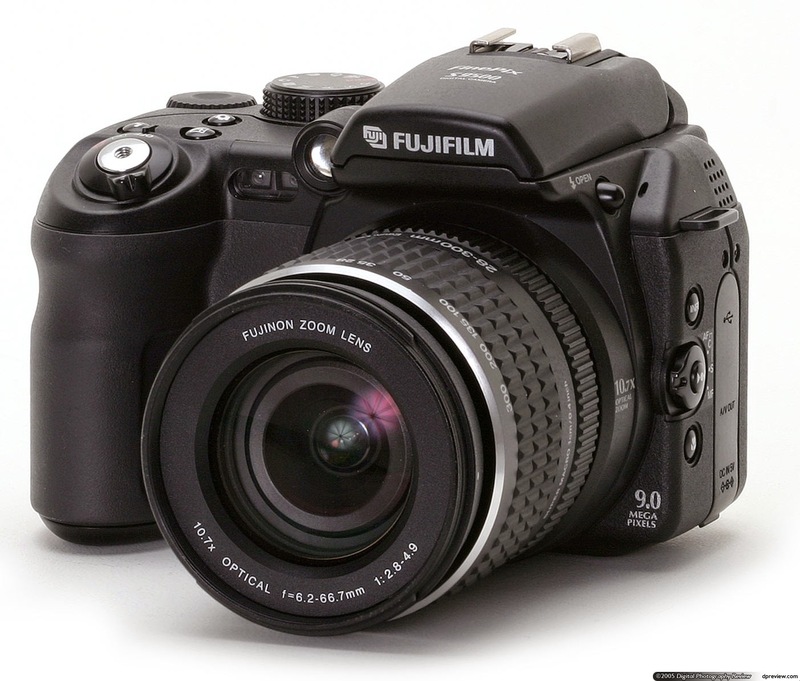 So I upgraded to the 9MP club with my Fuji S9500 but that was not a very memorable experience. I always felt the S5500 was better. The experience with the S9500 made me realize that I had to overcome that mental block about the DSLR. I was always happy with the prosumer Fujis. They were handy and had good reach so my aim of just recording nature as it were, was going on without too much trouble and distractions. Then, over the course of the years I made many friends who shared the same passion for the environment and wildlife and I realized they all carried significantly better gear that resulted in much better pictures. My idea of an all-in-one package just to avoid carrying extra load and the risk of getting dust on the sensor while changing lenses, suddenly, seemed a little narrow minded! I started making discrete enquiries with my friends who possessed the gear I had started craving for. Those were the days of the Canon EOS 40D and Nikon D80, both 10MP and had APS-C size sensors. The Nikon D90 had been announced and my mind was gradually swinging the Nikon way. That was till the man who supplied my cameras came up with the Olympus E3. He reminded me that in the part of the world I lived in, it rained for six months. He suggested that I go for a weather sealed camera and lenses. That is how I fell for the E3. It was love at first sight and after that I've never looked beyond the Olympus cameras and lenses. Every time it rained on a safari it would be a mad scramble to pack the Canons and Nikons while I calmly went about shooting to my heart's desire! The E3 had features that few other cameras had at that time. Some were industry firsts, like the swiveling LCD, in body image stabilization, live view and the ultrasonic dust reduction system.The E3 is still my favourite body and remains permanently mounted to the 300mm f2.8, also another weather sealed lens. Together they weigh in at around 4.5 kgs! It was after I got the heavy lens that I realized it wasn't a great idea or easy thing to change lenses midway during a trip into the forest. Having procured a 2x teleconvertor the reach of my main camera was doubled. It was great for birds and things far away but if the elephant was too close I'd probably get the tip of its trunk or a corner of its ear! The need for a second camera body was acute and the E5 didn't have too many upgrades to keep me interested. I opted for the Olympus E620. My relationship with the E620 can be best described as bitter sweet. I was a nice camera in the day time but in low light it really struggled to come up with any pictures worth remembering. I don't know if it was the consequence of this troubled relationship but one day, on a trip to Nagarahole in April of 2012, I dropped it! My best all round lens, the Zuiko ED 50-200 f2.8-3.5, was in two pieces! That was the time I really felt upset about Olympus. While I have no complaints about the quality of their lenses I can't say the same about their service, especially for the lenses. I had to ship it to Singapore to get it fixed! The E620 was also behaving as if it was in a coma. After the fall many of its functions were dead though there were no externally obvious damage to the body. Accidents can happen, however careful you are. The E3 has also taken its fair share of knocks but it has never malfunctioned, a testimony to its ruggedness. Eventually I got it fixed but that incident hastened my decision to look for another body with better capabilities than the E620 but it was not going to be easy to find a replacement. Then Olympus appeared to be giving up on its faithful. The E5 was released in September 2010 as an upgrade to the E series but for someone with an E3 there was no real reason to change. The rumoured E7 could possibly have more reasons to consider a change but it remained just that; a rumour! It seemed the end of my photography dream. I would be stuck with the old Four Thirds bodies and lenses and the thought of having to shift my faith to a hitherto unthinkable Canon or Nikon was a little hard to digest. To add to my woes, the Olympus scandal had broken in 2011. Here was a company that seemed to be on the brink and my affair with Four Third seemed destined to be doomed! 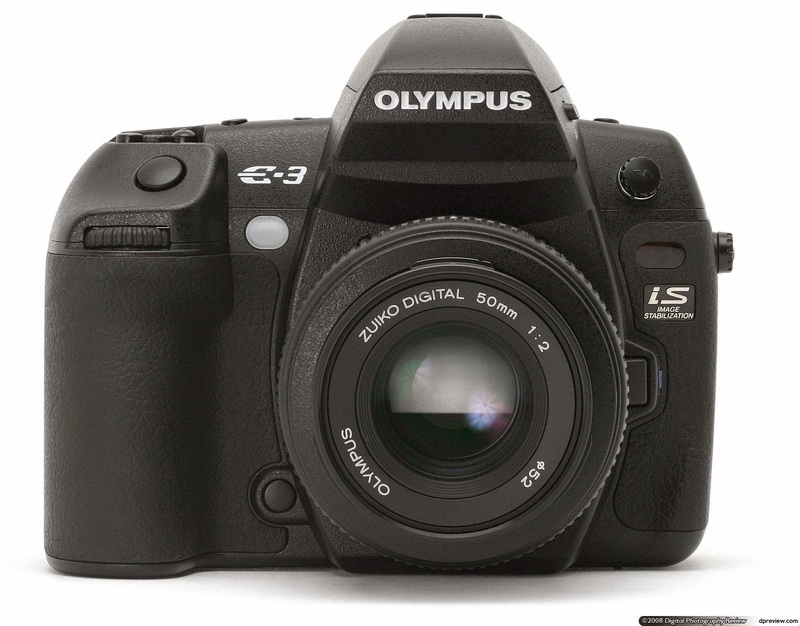 That Olympus was moving away from the classic Four Thirds was confirmed when they had quietly thrown a bombshell, the E-P1, the first of the Micro Four Thirds in June 2009. It had been released some three months after the E620 was launched, without much fanfare, and a mirrorless interchangable lens camera was never considered a threat to the DSLRs! Mirrorless interchangable lens cameras (MILC) had been around from 2004 so Olympus was not the first to test the waters. It was thought of as an alternative for point and shoot owners who wanted to have an interchangable lens camera. If anyone underestimated the PEN series, they were in for a rude shock. It went from strength to strength and Olympus set an example which others soon followed. Suddenly, mirrorless was cool! So much so that Canon and Nikon too have joined the trend. I was not sure how long I could hold on to my Olympus affair because my E620 never really recovered and I was having to manage with my E3. It still performed brilliantly but it was getting a little old in the tooth. Then things changed suddenly. 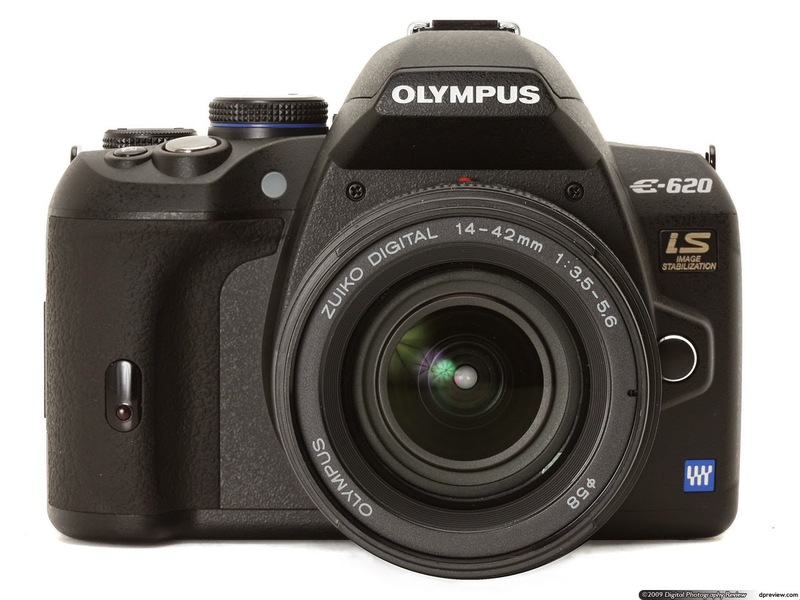 Olympus announced the OM-D E-M5 in May 2012! Realization dawned, for me and for countless other fans of Olympus, here was the 'E7' that we had been waiting for. It wasn't named the E7 because it was not a true DSLR. It was smaller, lighter and faster. The best part of the OM-D was that it would accept my four thirds lenses with an adaptor! In true Olympus tradition it was weather sealed and came with in-body image stabilization. I finally had my E620 replacement. Of course the E-M5 wasn't perfect. For starters, as a camera for photographing moving subjects it wasn't the best. Like all mirrorless cameras it comes with the CDAF (contrast detection auto focus) which really searches especially when the light is low. My old Zuiko four third lenses were great for photographing birds sitting quietly or elephants and gaur ambling along placidly. However, when a fast moving dhole or tiger came on the scene it couldn't quite keep up. I still love the E-M5 with all its quirks and countless buttons. It is light, fast and takes beautiful pictures. My gear, which includes 5 Micro-four third lenses, weighs less than the E3 with the 50-200 mm f2.8-3.5! Eminently portable. 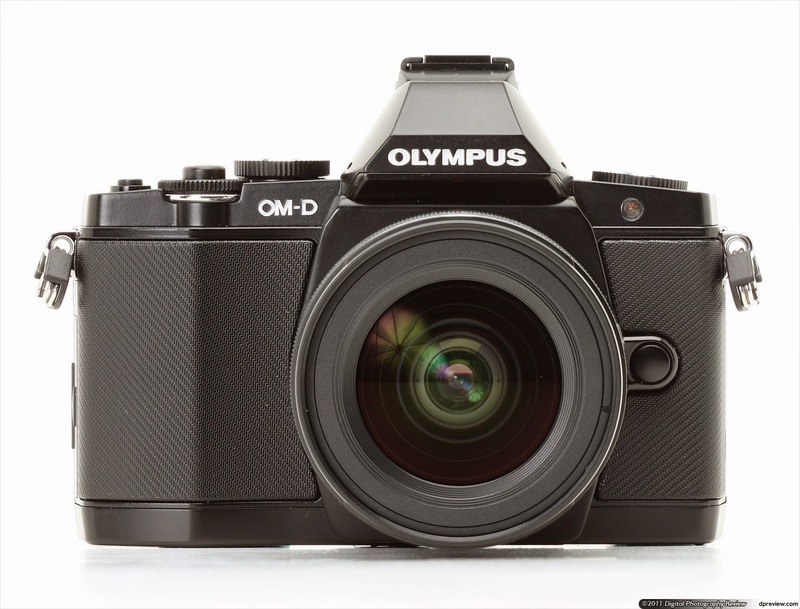 Then in September 2013 Olympus released the OM-D E-M1, the camera I had really been looking forward to. 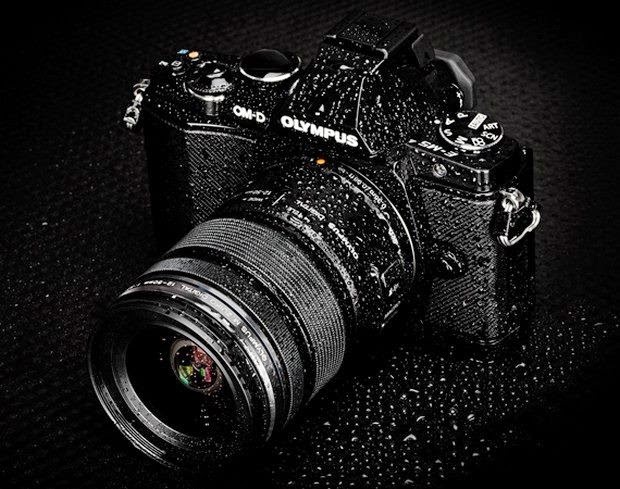 It could shoot in a blazing fast 1/8000 sec, had a 5-axis in-body stabilization, time-lapse shooting, Wi-Fi connectivity to transfer photos or remote fire your camera and the latest Dual Fast AF as Olympus likes to call it. It is a combination of the CDAF in the E-M5 with an on-chip Phase Detection auto focus (PDAF) like you find on the DSLRs. One disappointment, as I had mentioned earlier, was that the auto-focus in the E-M5 wasn't really keeping up with moving targets and C-AF in Tracking mode was an utter failure. I had to do with the type of auto focus employed by the camera, the CDAF. Unfortunately, DSLR lenses were optimized for PDAF so my E-M5 wasn't well suited to be mated with my Zuiko four-third lenses. 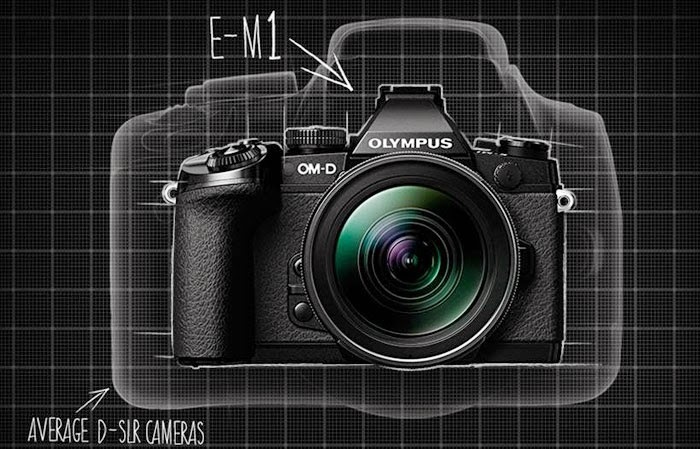 The E-M1 is expected to change all that. It has a hybrid auto focus that normally uses the CDAF with the Micro-four third lenses but utilizes PDAF simultaneously when the regular Zuiko lenses are mounted with their adaptor. On paper it is designed to overcome the flaw of the E-M5 but I am yet to test it out in the field. I am off to Bandipur later this week so I'll update here after my experience in the jungle. This is how it now looks with the E-M1 body mounted on the Zuiko 300mm f2.8! You can barely see the body behind the lens when viewed from the front because the camera itself has become so much smaller than it's predecessors! My collection of Olympus cameras has swelled over the last few years. The final count is 2 DSLR bodies, 2 Micro Four Third bodies and a waterproof point and shoot! It is complimented by 4 Zuiko , 2 Sigma Four Thirds and 5 M.Zuiko Micro Four Third lenses. There is no plan to look at either Canon or Nikon any time in the near future. For a serious amateur, Micro Four Thirds is the way to go. Full frame DSLRs are for professionals, which I'm am not. I don't have an inclination to lug heavy gear any more and it seems I've discovered my niche! My affair with Olympus is destined to continue! If you want to know more about AUTO FOCUS in cameras, click the link here. Here is the update of E-M1 + 300mm f2.8 in Bandipur. Note: Most photographs on this blog have been sourced from various websites. I lay no claim to their copyrights and they belong to the websites or photographers who shot or posted them.